We have been helping students achieve their academic aims for over 25 years. 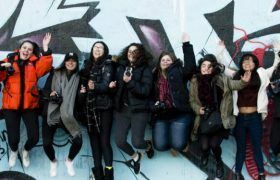 We are the highest achieving sixth form college in London, providing a rigorous academic programme for young adults within an informal and friendly learning environment. Making the right choice of subjects is critical, and at Brampton we offer a range of GCSE and A level courses and the guidance and flexibility to meet the needs of each of our students. Being at sixth form is a crucial development period for young people, in both an intellectual and personal sense. This is why we offer an extensive programme of individual support, mentoring and extra-curricular activities to build students’ confidence and prepare them for their next steps. The teachers at Brampton College are highly qualified sixth form specialists, well-practised in preparing young people for their A level examinations and happy to provide personal guidance along the way. Many of the teachers have experience of examining. Teaching occurs in small groups at Brampton College. The average class size is seven, with a maximum of nine. This allows tutors to focus attention on each individual student, so that they all receive the support that they deserve. Brampton College is situated on an attractive purpose-built site with outstanding amenities. 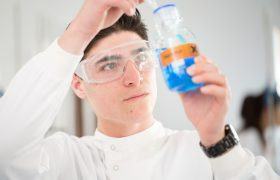 We have a total of four laboratories (all of which have been refurbished in the past two years), a beautiful art studio, excellent computer facilities, a large supervised library, a GCSE suite, a student common room and other invaluable student break-out or study areas. Here at Brampton College, we are incredibly proud of our long-running history of exceptional results. For 17 consecutive years, we have come top of all sixth form colleges in London, and in 2017 we came 3rd nationally in the Department for Education (DfE) performance table of independent sixth form colleges. 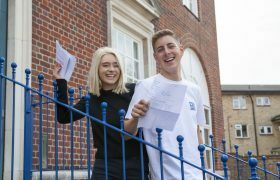 In 2018, 47% of A level students at Brampton received an A*/A grade, compared with the 26% national average. Furthermore, 67% of our students have been placed at their first choice university, predominantly Russell Group. Our 2018 GCSE students achieved 46% A*( 9 or 8), 74% A*/A (9-7) grades. 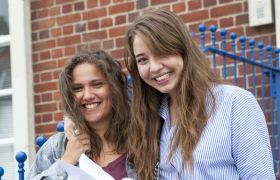 The College excelled in subjects such as English Literature which had 80% 9-7 grades, Mathematics which had 79% 9-7, and Chemistry which had 79% A*/A grades.